The new iPad is thicker than the old iPad. Owners of the new 2017 iPad may be able to cannibalize their old iPads to fix busted components, depending on what breaks on the new tablet. After discovering that the new iPad is mostly just an updated original iPad Air, the repair gurus at iFixit decided to test whether old iPad parts are compatible with refreshed iPad. Surprisingly, a number of crucial parts from the iPad Air 1 and Air 2 like the digitizer, battery, rear camera and microphone all work perfectly fine. “We still have a lot to cover,” is Apple’s promise this time around. On October 15th, the company sent out press invitations for a media event that will be held at the Yerba Buena Center in San Francisco this coming Tuesday, October 22nd. 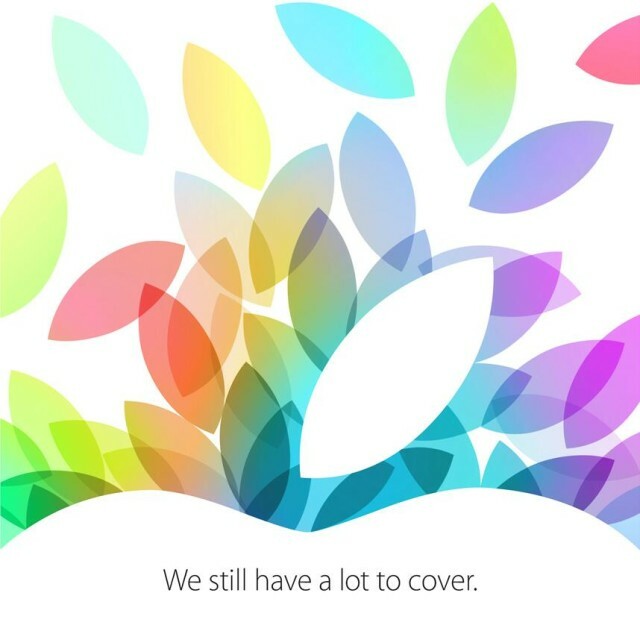 Last month we saw the unveiling of the iPhone 5s and 5c, and this second event is expected to center around new iPads. But that’s not all; the future of OS X, iOS 7, and the Mac are also rumored to be waiting in the wings. 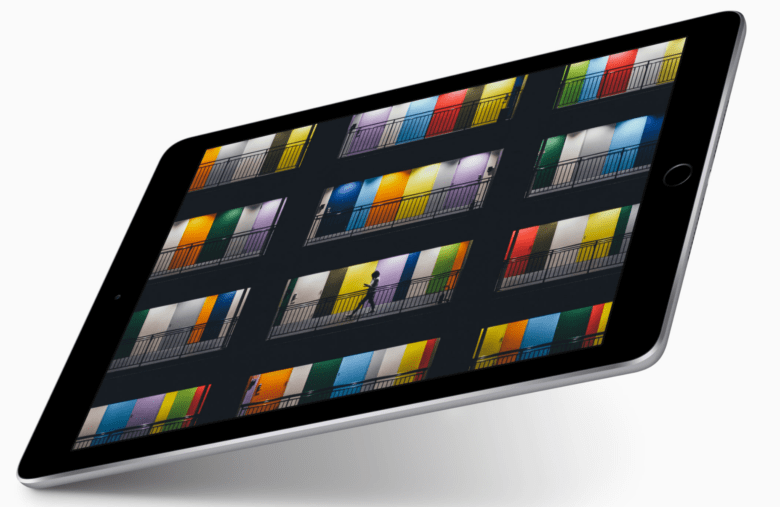 What is the point of the iPad now that the iPad mini is on the cusp of going Retina? It’s Apple’s pro device: the iPad for people who want a tablet to replace their laptops, not just be a more fully-functioning e-reader. Why is why the latest rumor to come down the pipes makes a lot of sense. It says Apple is intending on launching its own keyboard cover for the iPad at tomorrow’s event, a la the Microsoft Surface. Confirmed! Apple’s October 22nd iPad event is locked and loaded, but it’s not just iPads we’re expecting to take the stage. We’ll walk you through what other treasures to expect sultry new CultCast. Then, Steve Jobs and his nights of profound amore; Apple hires a fashion icon to man retail stores; and we review a new app that makes it insanely simple to send money to anyone you know. Have a few laughs and get caught up on each week’s best Apple stories. 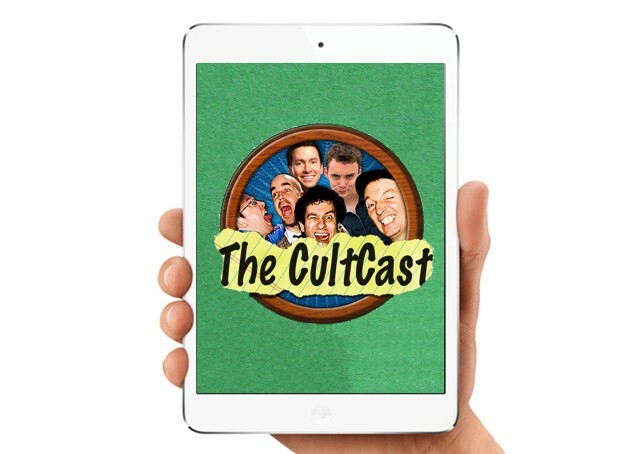 Stream or download new and past episodes of The CultCast now on your Mac or iDevice by subscribing on iTunes, or hit play below and let baseline roll! We’re still waiting for Apple to send out invitations to a press event on October 22, where we expect the Cupertino company to announce new iPads and possibly new MacBook Pros. According to a new rumor that has surfaced today, the new devices will go on sale before the end of the month, while the new Mac Pro will make its debut in mid-November. Touch ID has received all kinds of praise since it made its debut on the iPhone 5s last month, so naturally, the question everyone’s asking is whether the new fingerprint-scanning technology will make its way to other iOS devices. 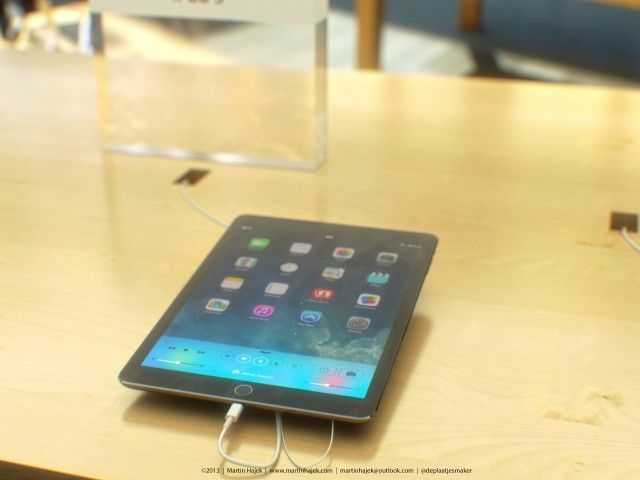 We’ve already seen evidence that suggests it will come to the second-generation iPad mini, and the blurry picture above seems to prove that Touch ID is also coming to the fifth-generation iPad, alongside its all-new design. 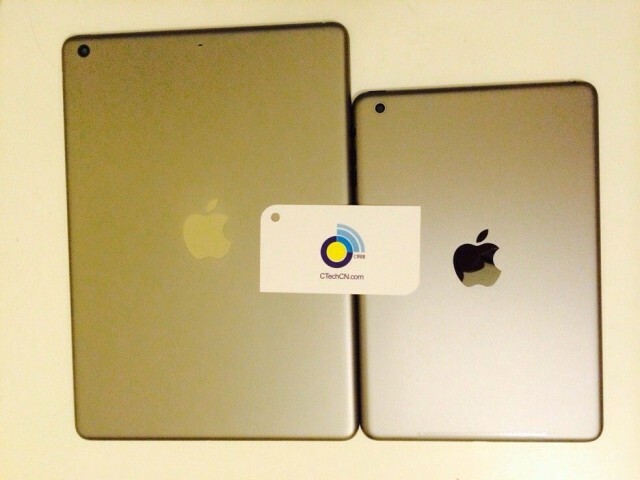 Tim Cook and the gang are set to take the stage in eight days to announce the newest lineup of iPads, but if a new set of leaked iPad shells are the real deal, we’ll have already seen all the new iPad colors before Schiller and Jony can wax poetic about how the iPad is unapologetically gold. 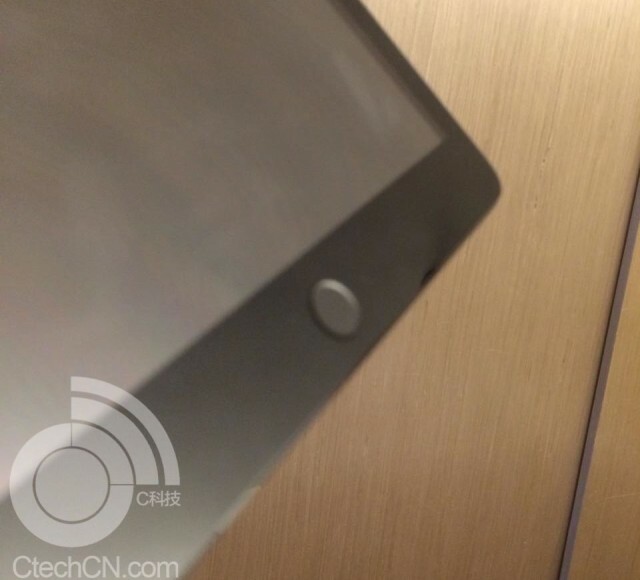 A new set of images allegedly showing both a gold iPad 5 and iPad mini 2 rear shell have been leaked by the Chinese site CTech, however it’s questionable whether they’re real, so have your salt shaker ready. 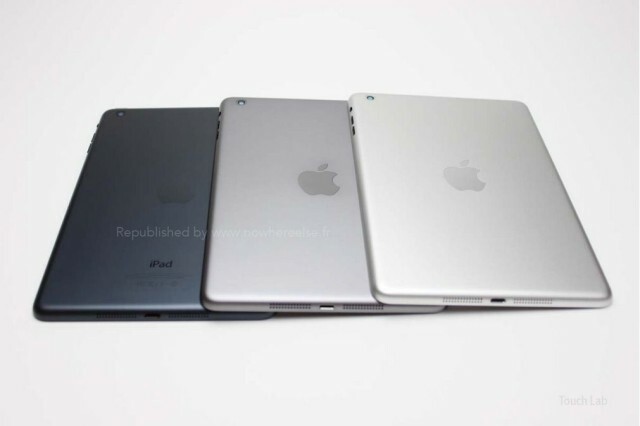 If the images are accurate, the iPad will follow the same course as the iPhone 5s with Apple offering both models in silver, space gray, and gold. 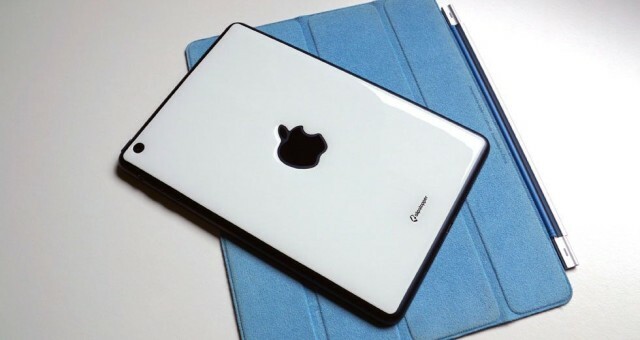 The iPad 5 is set to be unveiled on October 22nd, but thanks to all the leaks of rear shells, displays, and more, we pretty much already know what its going to look like when Cookie finally drops the curtain next week. 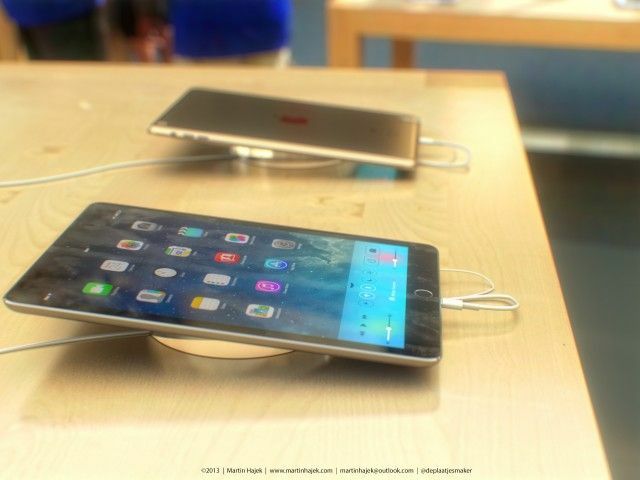 However, if you’re just dying for more glimpses of Apple’s new tablet before it comes out, our friend Martin Hajek has got you covered with these new renders that show what Jony’s latest slab of silicon, glass and aluminium will look like once its resting peacefully in the Apple Store sanctuaries. Behold! The iPad Mini 2 In Silver And Space Gray! Yesterday, we saw new pictures of the silver and space gray iPad 5, and today, we see the same thing, shrunk down a spell: the iPad mini 2, in space gray and silver, natch. 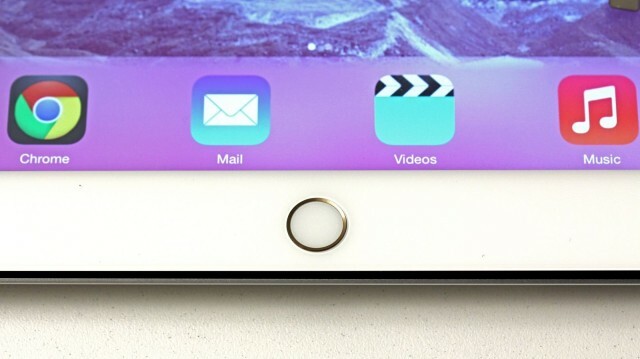 Apple may or may not announce an iPad mini with Retina display in a couple weeks, but one thing that’s pretty much a given at this point is Touch ID coming to the iPad and iPad mini.